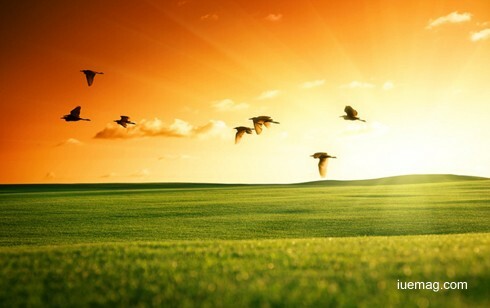 The Great Swami Vivekananda once said, "India for thousands of years peacefully existed. Here activity prevailed when even Greece did not exist.. Even earlier, when history has no record, and tradition dares not peer into the gloom of that intense past, until now, ideas after ideas have marched out from her, but every word has been spoken with a blessing be-hind it and peace before it. We, of all nations of the world, have never been a conquering race, and that blessing is on our head, and therefore we live!" I love the first phrase where Swami Vivekananda proudly talks about India being a peaceful country. It feels great to read that line again and again. It feels great because the more you read, the more unreal it sounds. India in peace??? Really? Well, I would rather say India in pieces! Look at the reality, the moment you step out of your house, you see people protesting to fight against corruption. You pick a newspaper to read, headline says "India has more black money than rest of the world combined". You take an auto-rickshaw, tampered meters jack-up the reading. You go to a petrol bunk, the attendant dis-tracts you by asking for payment through cash or card. By the time you reply, he fools you by resetting the fuel meter to zero. You go to a bank to deposit your hard earned money, somebody grapples you, next minute he's off with your money. You invest in BIG IT firms, only to realize blown-up share prices have no "Satyam" in them. You talk about technology and 2G is the biggest scam Sir Ji! You share the success of Commonwealth Games, you realize that the prestigious opportunity was nothing but shame! The list goes on and on. From small to big, top to bottom, first to last, every wrong move is influencing the bad and affecting the good. My objective is not to acknowledge and inform you about the sea of corruption in India. Because, even a ten year old in India can report the above nuisance! Yes NUISANCE it is! It is a term that is synonymous with our country off late. My objective is also not to break my head about the biggest of problems in India. My ob-jective is far too small, basic, elementary. 'The New Sense' and not 'Nuisance' is my objective! The moment I step into my work place, I see the future! I see the generation which will be the new face and bring in a new phase to India. I meet individuals who walk the talk. I run into groups which are one. I meet people who are the change we can be. I meet people who smile at mistakes and cry in success. I meet people who carry the light but still live in the dark. I meet people who make headlines for achievements. I meet people who rob and steal your admiration. I meet people who invest time and instill belief. I meet people who share values. I meet people whose ideas personify dreams. My dear friends, this generation is my inspiration! Although these people constitute just 1% of the all those we en-counter everyday... I can proudly say that this 1% is the reason why I believe in tomorrow. This is the drop in the sea that angels die for. If this 1% can contribute this magnitude of change, the prospect of what will happen when the remaining 99% join hands is beyond imagination. My objective will forever be to live in this "New Sense" rather than Nuisance.